Archer City is located south of Wichita Falls that is the birthplace of Pulitzer Prize-winning author Larry McMurtry. 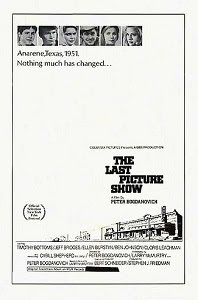 The town boasts a rare bookstore owned and operated by the author as well as the Royal Theater, featured in the book and film The Last Picture Show. Ennis is south of Dallas and is renowned for its motorsport events and its Czech heritage; the world record drag racing speed of 333.95 mph was set on its drag strip, and the National Polka Festival is held here every year. The town’s most beautiful attraction is its gorgeous wildflower display each spring. 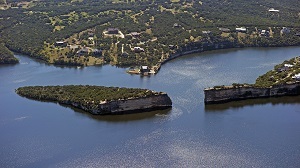 Possum Kingdom is a lake community West of Dallas/Fort Worth. The lake offers beautiful camping and water sports. In the evening, be on the lookout for possums. Rainbow is southwest of Dallas/Fort Worth. A rainbow spread across the sky when area residents gathered to name their community in the late 19th Century; hence, the name. Today, Rainbow is known for the fields of wildflowers that bloom there in springtime. Turkey is northwest of Fort Worth in the Texas Panhandle. The town was the home of Bob Wills, famed swing musician, and hosts celebrations every spring, featuring a parade, a fiddling contest, cook-offs, and dancing. The old-timey general store Lacy Dry Goods has been in business since 1927.